XOLO launched XOLO One HD - for perfect pictures even in low light conditions. The 8MP Rear camera with a bigger pixel size of 1.4µm and 5MP front camera with flash helps you capture great quality pictures and selfies in all lighting conditions. During the celebration of Good Governance Week, Minister of Communication and IT, Shri Ravi Shankar Prasad kicked off “Rural Information and Communication Technology” Project on 28th December by handing over the first lot of “Solar Powered”, Bio Metric Enabled Hand Held Devices to Branch Post Masters of 3 pilot states. Increasing use of banking apps on smartphone are set to cause nightmare to consumers and financial institution as per the predictions for 2016 by Trend Micro. 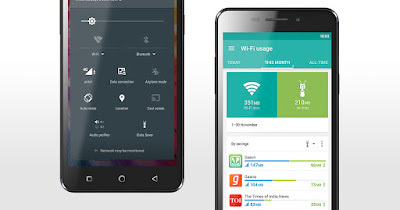 Reports say that 3 in 4 apps in India are malicious. Irrespective of the slow adoption rate of mobile payment apps, the introduction of next generation mobile payment systems will inspire a renewed interest for threat actors to carry out real-world testing to steal information from new payment processing technologies like EMV credit cards, contactless RFID credit cards, and mobile wallets like Apple Pay and Google Wallet. Aruba, a Hewlett Packard Enterprise company, has announced that it will focus its efforts and dedicate resources to growing its market share in Jordan, where the Information and communications technology (ICT) industry is increasing at a rapid pace. This growth is credited to strong demand for technology solutions from government, financial services, utilities such as water desalination, railways and liberalized telecom sectors. Zopper rolls out a bumper year-ending shopping bonanza with its’36 hours of DEALS’! Zopper has once again delighted the Indian consumers by rolling out its ‘36 hours of DEALS’. The year-ending sale will see Zopper offer goods across all top categories such as Mobiles and Tablets, Kitchen Appliances, Home Appliances and TV & Home Entertainment at heavily discounted prices. In a major announcement, nexGTV, India's subscription-driven video entertainment App, recently bolstered its leadership by appointing Abhesh Verma as its Chief Operating Officer (COO). 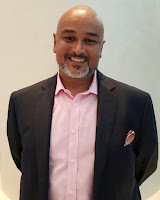 Abhesh joins nexGTV with over 16 years of experience across several industries such as entertainment, e-commerce, SEO, advertisement, Venture Capital and Real Estate. He was previously associated with the digital entertainment portal Saavn and Saavn Interactive as its Chief Growth Officer and CEO. In his new role at nexGTV, he will be spearheading executive decision-making and long-term strategic planning for the organisation. Enterprises have been constantly challenged by the rapidly evolving technology curve. While being prepared for new-age business goals, they are also battling decisions regarding adoption of capital-intensive technology that may soon become outdated. DailyObjects, India’s largest seller of designer smartphone cases and laptop sleeves, recently announced its official association with Turner International India Pvt. Ltd. to sell over 80 authorized artworks of Batman-Arkham. As per the tie-up, DailyObjects obtains national rights to manufacture a collection of smartphone cases and laptop sleeves for the action-adventure video game series based on the DC Comics character Batman. The world of business in India is being increasingly characterized by technology-led competition, emergence of techno-entrepreneurs and rapid offering of new products and services in almost all sectors of economy. Air pollution is a growing problem in many Indian cities, leading to multiple health concerns. As often your family is impacted by the negative effects of this pollution, Philips understands that you seek a solution to enjoy fresh and healthy air, not only at home, but also while driving. GoPure Compact 110 by Philips Automative, a division of Royal Philips combats the issue of air pollution and preserves the health of drivers and passengers in India. ADATA Technology announced a new partnership with leading IT distributor Compuage Infocom Ltd., pertaining to the complete ADATA power bank portfolio. The move extends ADATA distribution range by adding Compuage as a product provider, offering Bureau of Indian Standards (BIS) certified mobile power banks to customers across India. ADATA and Compuage have been successfully cooperating in the DRAM segment for several years. The year 2016 brings good news for job seekers, with hiring activity expected to increase by a considerable 7% across sectors. The latest TimesJobs.com Job Outlook 2016 survey of over 1,614 employers across India reports positive hiring plans by nearly 60% of the surveyed organizations. As businesses become increasingly reliant on IT to deliver products and services and to interact with their stakeholders, a simple, reliable, responsive and secure document management becomes essential to an enterprise. Organizations today are adopting document management solutions at a rapid rate to increase productivity and efficiency, differentiate competitively and enhance customer experience. 2015 had its fair share of incidents potentially carried out by the stereotypical “hacker in the basement.” However, the year also saw campaigns from state-enabled actors, including the groups responsible for gaining unauthorized access to health care organizations and stealing personal information on millions of customers and employees. ScanRobot an Automatic Book Scanner, which can scan 2500 pages per Hour of an Old Book without unbinding or damaging has been released. A company from Austria - Treventus Mechantronics will be displaying its scanner - ScanRobot at the Digitisation Expo in New Delhi to be held at Constitution Club of India, Rafi Marg - behind Reserve Bank of India, New Delhi on Friday and Saturday 8 - 9 January 2016. Joybynature.com, an online natural products store housing Organic and Ayurvedic Products for Natural Beauty, Home Care, Foods and Baby Care has launched a range of its own branded healthcare products for retail from its online store. The products, which would be sold primarily through the online platform of Joybynature.com, will also be distributed across prominent online and offline channels. The company envisions growing its private label business by expanding its product portfolio and aims to add 100 health and wellness products by March 2016. The Year 2015 has seen organizations disrupting their markets with the digital transformation of their businesses as they embrace 3rd Platform computing and New IP networking strategies that have helped them become leaders in new markets. Moving into 2016, more businesses are expected to leverage smart machines and transformative technologies to give them a clear competitive advantage. To reach out to the remotest corners of India, Surpluss.in,fastest growing Recommerce brand in India, has partnered with India Post, the government operated postal network. India Post is a name well-known for its wider reach in India’s interiors and access pin codes that no courier service can. When Star Wars first burst on to movie screens back in 1977 I was in the middle of college and my engineering studies. Now 38 years later we're waiting and anticipating the next chapter. What new characters and technologies will be introduced? Looking back at the early chapters the Death Star has fascinated many sci fi fans and left others wondering if one could be built. Several years ago the Obama Administration provided the ability for citizens to petition on any topic as long as they had sufficient signatures. Manufacturers' Associationfor Information Technology (MAIT), the apex body representing IT manufacturers, conducted a sensitization workshop on 'Good Procurement Practices for Information Technology' in association with the Department of Information and Technology, Government of Kerala. The workshop laid emphasis on the need for adoption of best practices for IT Procurement by government and semi-government organizations. More than 150 officers from different government departments attended the event and gained insights on IT Procurement Procedures being followed in the IT industry. Spam is big business all year long, and it never goes out of season. Unfortunately, spammers do kick things into high gear during the fall. This is when people are buying gifts, thinking about how to get money to buy gifts, or opening holiday E-Cards that aren’t really from friendly people. Spam tends to increase during this time, just because there’s more opportunity when people are in the holiday spirit. Wipro announced that it has signed a definitive agreement to acquire Viteos Group, a BPaaS provider for the Alternative Investment Management Industry for a purchase consideration of USD 130 million. TP-LINK announced the launch of new brand line Neffos (pronounced "nef'-os"), and thus making an entry in the mobile devices market to expand the scope of business. The brand name, taken from Greek language, means "clouds" and has an additional meaning that is "very exciting" when understood in the context. SpiceMudra, a prepaid payment wallet developed by Spice Digital - subsidiary of SpiceConnect, has recorded transactions worth Rs. 200 Crore in a span of only 3 months. The wallet service with a strong focus on domestic remittances and enterprise payments has recorded transactions worth Rs.50 Crore in the month of October 2015. The ixigo cabs app available on Google Play Store & Apple’s app store has emerged as the fastest growing player in the category with over 200K app downloads in just over six months of launch. Micromax announced the launch of India’s first smartphone based native payments solution in a strategic partnership with leading mobile payments company TranServ. Under the partnership, the companies will be rolling out a series of payment solutions specifically designed to meet the varied demands of the mobile-first Indian consumer. Snapdeal announced that it organised a two-day Hackathon in collaboration with Microsoft India. The collaboration saw engineers from both Snapdeal and Microsoft jointly develop technology concepts and solutions aiming to provide an enhanced seller experience on the online marketplace. Quintype announced its partnership with Swarajya, a 59 year old independent magazine. Relaunched in 2014, Swarajya’s digital publishing foray intends to publish content in a manner that appeals to the youth. Swarajya will use Quintype’s publishing platform in building a fully responsive & adaptive web presence, with rich media content, and a robust personalization engine with a view to engage and manage its readers. As the volume of data generated goes up drastically, enterprises are facing new challenges when it comes to storage and processing of this data in a secure and easily retrievable manner. The ever-burgeoning datacenter and storage requirements have meant that companies are increasingly expecting their existing infrastructure to scale up seamlessly, preferably without demanding too many investments in terms of cost, energy and space. On the positive side, the quantum of data available means that companies are able to utilize it for analysis to gain valuable insights into the functioning of their businesses. By: Cássio Vaquero Regional Director, Information Management Division, for Asia-Pacific and Latin America. Businesses today are adopting document management solutions at a rapid rate. With business evolving the demand for more accessibility to information continues to accelerate. This coming year enterprises that are best equipped to handle requests that are instant will be the one that will thrive the competition. The document management sector that is ever-changing will see lots of great opportunity for technology to play a major role in improving efficiency and increasing the bottom line and will shy away from traditional paper files. In the coming years, we will witness trends catching up as organizations will want to synergize effectiveness and efficiency of supporting services across the company by applying multiple service delivery models including elements of shared services, outsourcing, off-shoring and IT solutions. Medicines – Pluss: Pluss is an on-demand medicine, healthcare and wellness products delivery app which standardizes your experience irrespective of your location and the store from where your medicines come. Users can upload a photo of their prescription, and then the app lets them select and order individual medicines from their prescription. Orders are delivered to a user within 60 minutes of them receiving an order confirmation SMS. Practo, Asia’s leading healthcare platform today released its annual healthcare findings – The Practo Healthcare Map of India 2015 which aims to highlight the key consumer healthcare concerns. The report also highlights the fastest growing concerns to enable the healthcare industry focus on the illness types that ail the population today as well as pro-actively address those that could become the next set of challenges. Christmas is right around the corner and Acer, one of the largest PC vendors in the country, today announced exciting offers for PC buyers in India during this festive season. Acer will be celebrating Christmas and New Year with its consumers, for whom the offers have already been made available and will be valid for purchases made till December 26th, 2015. The offers are valid on all Acer Aspire series notebooks and All-In-One PCs. The Christmas offer promises a gamut of exciting gifts and benefits for consumers. A10 Networks announced that global electronics manufacturer Casio Computer Co., Ltd., is using the A10 Thunder ADC solution to consolidate networking resources, improve application performance and enhance overall user experience. The A10 Thunder ADC not only offers Casio scalable cloud-networking services, but real-time health monitoring systems to maximize application uptime. Red Hat announced financial results for the third quarter of fiscal year 2016 ended November 30, 2015. The Digital Finance Imperative, new global research from Chartered Global Management Accountant® (CGMA), found that CFOs need to rethink how they measure the health of their corporations in the digital age. According to the study, while the majority of a corporation’s value derives from intangible assets such as customer sentiment and brand, few finance professionals surveyed say they can access the right data to measure and monitor these critical elements of their business – just 25% in the case of customer sentiment. Christmas brings with it the joyous fervor to splurge and make merry. GoPaisa.com, India's highest paying cash back and coupon site is here to truly spoil its customers by introducing cashback offers on Dominos, Foodpanda and BookMyShow from 21st to 27th December. Users can eat, shop and heighten the revelryby saving bigon their festive buys from their favorite online destinations. GoPaisais the first cashback portal to offer instant cashback for all the savings you end up making! If you are not happy with the output of the current speaker system on your computer and are looking for a little boost, Frontech, one of the major players in the IT Peripherals and consumer durables introduces the rich stereo sound in a compact wood design with its latest addition 2.1 Multimedia Speakers –JIL 3925. Ricoh India unveiled a bold new cloud strategy for small and medium businesses, school and other organisations lower costs and improve productivity by turning their multifunction products (MFP’s) into portals that deliver internet based services. Teradata announced that a large, diverse ecosystem of alliance partners have tested their solutions for compatibility and will support Teradata Database 15.10.Now being shipped worldwide, the Teradata Database delivers up to 22 percent better performance overall, with a 56 percent improvement for some individual queries compared to the previous version. The Teradata Database performance enables organizations to respond to business challenges with greater agility. Enkay Technologies, a Unified Communications solutions provider in India, announced the expansion of its partnership with Avaya, a global leader in business communications software, systems and services, to sell Avaya’s end-to-end solutions for voice, video, data networking, and Wi-Fi and services to its customers in India. Enkay Technologies increased revenue by 60% in 2015, primarily by delivering Avaya solutions to the country’s small and medium enterprises. Social norms are flying out of the window in India as increased number of young urban professionals are now taking all the charges. International Dating App Tinder is realising this and are now realigning with what was Woo launched with. The Open Mobile Alliance (OMA) and oneM2M announced that they are partnering to present a seminar in San Diego, California on January 21, 2016 to explore the technical and operational gaps between Standards Development Organizations (SDOs) and developers of products and services for the Internet of Things (IoT). The seminar will take place from 5:00 to 8:00 PM at the DoubleTree by Hilton San Diego-Mission Valley at 7450 Hazard Center Drive, San Diego, California, 92108, USA. 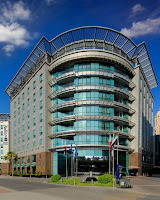 Radisson Blu Hotel, in Al Sufouh at Dubai Media City has recently deployed wireless infrastructure from Aruba, a Hewlett Packard Enterprise Company, to deliver secure, seamless, high-speed, wireless internet connectivity across its hotel rooms, suites and public areas. The implementation has resulted in improvement in rating of Wi-Fi services and drastic reduction in volume of IT help desk calls, besides the fact that the design of the Access Points (APs) blends seamlessly with the hotel aesthetics and AP management, monitoring and troubleshooting has become centralized and simplified. Interview: "Commvault considers India as a strategic and long-term growth market"
Commvault believes that India is a key market where resides a lot of business opportunity. Commvault is a leading provider of data protection and information management solutions, helping companies worldwide activate their data to drive more value and business insight and to transform modern data environments. 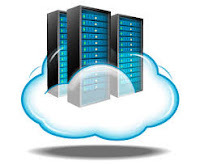 With solutions and services delivered directly and through a worldwide network of partners and service providers, Commvault solutions comprise one of the industry's leading portfolios in data protection and recovery, cloud, virtualization, archive, file sync and share. To get more insights, TheDataDriver.com had a quality time with Ramesh Mamgain, Area Vice President – India & SAARC at Commvault. Ramesh divulged about the company's India strategy and long term goals. Consolidating its leadership in the low cost internet connectivity and web access device segment, DataWind, maker of UbiSlate Tablets and Pocket Surfer Smartphones have expanded their portfolio by launching new tablet to its range 7SC. At a retail price of only Rs. 2,999 inclusive of all taxes,the tablet offers free internet browsing for one year under a tie-up with RComand Telenor network on a prepaid GSM sim card.Datawind has signed an exclusive agreement with Den Snapdeal TV-Shop for selling these tablets through the latter’s 24X7 TV-commerce channel. Ovum is delighted to announce that David Bannister, one of the most respected commentators in the financial technology industry, will be joining its Financial Services practice in January to develop and grow its research across the wholesale payments and corporate banking areas. Red Hat announced the general availability of Red Hat CloudForms 4, the latest version of its award-winning hybrid cloud management solution. Built on an open platform, Red Hat CloudForms 4 goes beyond self-service, offering a consistent experience and comprehensive lifecycle management across platforms spanning virtualization, private cloud, public cloud and containers. Cornerstone OnDemand announced that leading global manufacturer Hitachi has implemented Cornerstone’s cloud-based talent management software solution to deliver a best-in-class learning and development experience to more than 350,000 Hitachi employees across nearly 1,000 group companies. Bring your own encryption, or BYOE, is a relatively new cloud computing security model that is providing companies with a new way to address data storage security concerns in a cloud-based environment. Above all, this new trend is encouraging decision makers to put security as high on the agenda for the Always-on business as other business-critical technologies such as cloud computing and virtualisation. Nearly two-thirds (64%) of consumers surveyed worldwide say they are unlikely to shop or do business again with a company that had experienced a breach where financial information was stole​n, and almost half (49%) had the same opinion when it came to data breaches where personal information was stolen. This is according to a recent global survey by Gemalto, a leader in digital security, titled "Broken Trust: 'Tis the Season to Be Wary", which surveyed 5,750 consumers in Australia, Brazil, France, Germany, Japan, United Kingdom and United States. Infosys announced that it has won a contract to transform the application landscape of DNB Bank of Norway. Applying its AiKiDo framework, Infosys will leverage knowledge-based non-disruptive renewal strategies to evolve DNB Bank’s entire data cluster, including business intelligence (BI), analytics, data warehousing services, regulatory reporting, and Enterprise Resource Planning (ERP) functions. Jugnoo, a mobile app, offering the largest network of auto-rickshaws in India, announces its alliance with Zophop. Zophop, a public transportation information mobile app, empowers daily travelers using public transportation to make the best travel decisions, based on route, modes, and time required. The partnership is aimed at reciprocal growth for both the parties. It not only boosts the services offered by Jugnoo and enhances its customer reach, but also adds an extra mode of transportation in the vehicle options on Zophop. The 21st century can be the “Indian century,” as the country readies itself to emerge as a global leader, finds the new IBM study. More than 51 percent of executives stated that improved governance and the removal of excessive regulation will be a crucial driver of sustained economic growth. While building a strong social infrastructure was identified as the second most important contributor to economic productivity, over 40 percent of respondents identified good quality of physical infrastructure and availability of skilled resources as important drivers of growth. Akamai Technologies announced the availability of the Q3 2015 State of the Internet – Security Report. The Q3 2015 report, which provides analysis and insight into the global cloud security threat landscape, can be downloaded at www.stateoftheinternet.com/security-report. Broadcom Corporation introduced a new family of enhanced low-power (ELP) multi-protocol Bluetooth/802.15.4 combo systems-on-a-chip (SoCs) into its Wireless Internet Connectivity for Embedded Devices (WICED®) portfolio. Broadcom’s WICED CORE ELP devices provide original equipment manufacturers (OEMs) with the ideal platform for low-power Internet of Things (IoT) products and applications. Although a majority of storage systems installed around the world are still based on hard disks, a recent 451 Research report determined that flash storage is rapidly catching up and is now accepted as mainstream. This is true for the Middle East where IT storage infrastructure is still greenfield and enterprises have an appetite for adopting the latest technologies. Schneider Electric released highlights of a Smart Homes Solutions survey, conducted on its behalf by AZ Research Partners, Bengaluru. The major outcome from the survey was that the smart home market is expected to grow at a rate of 30% YOY, thereby ensuring that the market will double in revenue every 3 years. The survey was conducted among end customers of premium apartment complexes, duplex, triplex and villas within the range of Rs 50 lakh to Rs 1 crore, Rs 1-5 crore and Rs 5+ crore as well as builders of such complexes. The survey revealed high awareness among respondents about Smart Homes, which was almost universal in metros and upper-end segments. BMC announced strong financial growth, increased industry recognition and customer adoption across its IT service management (ITSM) portfolio in the first half of its fiscal year 2016. Businesses are adopting digital technologies to enable faster decision-making, collaborative workplaces, connected products and systems, and global enterprises, which has fueled sustained growth for BMC. PayUbiz has unveiled ‘one tap’ – the inevitable future. This marks a new milestone and aims at changing the mobile payments industry forever, claims the company. The integration of this unique tech innovation by merchants will drastically enhance the mobile shopping experience of an Indian shopper. The One Tap Technology enables all mobile payments being made through debit or credit card to happen by just tapping ‘once’ on to the screen. Adobe in partnership with HackerRank recently concluded one of the largest hackathons for young developers and programmers in India till date. The event witnessed massive participation with over 8,000 programmers registering for the event from top colleges across the nation. The closely-fought competition saw Harshil Shah from IIT Indore crowned champion winning a cash prize of 1.5 lakh followed by Anurag Anand from IIT Kharagpur in second place and Utkarsh Saxena from IIT-Indore third respectively. Octro Inc. launches Immersive 3D multiplayer game- Poker Live! Octro launches new 3D multiplayer Poker game – Poker Live! which can be played with your friends and people around the world in real time basis. Poker Live! brings a unique experience for gamers -- stunning graphics create an immersive 3D environment that brings online poker to life. With an aim to capture the present Indian Poker playing audience and build new audience through video tutorials in local languages and helper screens, Octro intends to compete with international Poker titles in overseas markets. BabyChakra, claimed to be one-stop integrated platform for Indian parents with young children, has now launched an Android APP, which is personalized by lifestage and locality for users in Delhi, Mumbai and Bangalore. Covering expecting as well as young parents with children aged 0-5 years, the app will enable better decisions for parents by connecting them with other young parents, experts, and through thousands of reviews on childcare services. The APP currently features over 10,000 local services and serves 2.5 lakh mothers monthly. India Electronics and Semiconductor Association (IESA) with The Indus Entreprenuers (TiE) Bangalore, commenced the first edition of IoTNext 2015 in Bangalore. This year, with the theme “Innovating Digital Economy with IoT Solutions & Services”, the platform has attempted to address the convergence of multi-disciplinary facets of the technology ecosystem with IoT- hardware, IT, Big Data, Cloud and Connectivity, enabling an agile, efficient and cost effective solutions and services with industry collaborations and partnerships. MapR Technologies claimed the industry’s first and only converged data platform and introduced MapR Streams, a reliable, global event streaming system that connects data producers and data consumers across shared topics of information. The MapR Converged Data Platform integrates file, database, stream processing, and analytics to accelerate data-driven applications and address emerging IoT (Internet of Things) needs. Eko, a mobile-based fintech company, announced the launch of its semi-closed prepaid wallet service. This service has been launched in partnership with National Payments Corporation of India (NPCI) and RBL Bank Limited (formerly The Ratnakar Bank Limited). Edimax Technology, a provider of premier networking solutions, introduced their business solution - Edimax Pro, designed for modern mainstream businesses. The Edimax Pro series is a range of high performance, reliable and affordable Wi-Fi solutions for modern businesses to ensure seamless connectivity for Wi-Fi devices to support growing Mobility, IT and video demands. India Electronics and Semiconductor Association (IESA), the premier trade body representing the Indian Electronics System Design and Manufacturing (ESDM) industry, with, The Indus Entrepreneurs (TiE, Bangalore Chapter), are into a mission to foster entrepreneurship globally & will be hosting the first edition of IoTNEXT – a platform to Learn, Explore and Network on ushering the next era of Internet of Things (IoT) innovation on Dec 9&10, 2015 at Shangri – La, Bangalore. The coaching business industry usually brings in around $4 billion annually (Russ Alan Prince, Forbes, 2015). This industry is on the rise, and there are more and more people starting this business and consumers using their business services. When such an industry branch is on the rise, it is to be expected that it will soon need specific IT solutions for its precise issues. Here are some of the great cloud-based solutions that coaching businesses need to have at their disposal. With the term Frictionless IT, we mean an enterprise IT that just works, reshaped after the experience offered by modern consumer-grade public cloud services, which business users are growing to expect. If we don’t start moving towards Frictionless IT, we all risk irrelevance. SSL is everywhere. Today, many of the most popular websites leverage encryption to keep data secure and private. On top of that, other applications such as email, instant messaging, and FTP use SSL or its successor TLS to encrypt traffic. Need proof that SSL is ubiquitous? According to Sandvine, two thirds of Internet traffic will be encrypted by 2016. 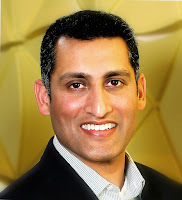 Infoblox announced Ashish Gupta has joined Infoblox as executive vice president and chief marketing officer, effective immediately. 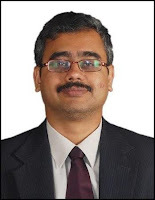 Gupta is responsible for the strategic direction of Infoblox’s global corporate and product marketing organization. With the vision of tapping into the highly potent app market in India, Plobal Apps announced the launch of its do it yourself (DIY) mobile app development platform. Today, not just the startups but also most of the established names in the retail industry are looking to build a strong mobile presence to cater to the needs of customers who are increasingly going mobile. However, developing an app can be expensive and often involves a lot of time. NIIT and HP entered into a strategic partnership to offer Post Graduate Certificate Program in Software Testing. The program will enable learners to apply key testing skills and practices using HP Tools. Jaipur-based Girnar Soft recently brought another reputed name onboard its burgeoning industry team with the appointment of Umesh Hora as its CFO. He will be part of company’s senior management team and responsible for spearheading the company’s financial strategy and planning. He will also be responsible for development of financial and legal infrastructure to support company’s expansion trajectory. Umesh was previously associated with online restaurant search and discovery platform Zomato as its CFO. Times Internet (TIL) has acquired the Do-It-Yourself (DIY) Small Business Enablement platform Get Me A Shop (www.GetMeAShop.com) for an undisclosed amount. This acquisition will help TIL to further enhance their offerings to their consumers across different verticals, thus paving way to a greater customer connect and providing them with a one stop solution for all their digital needs. Symantec announced plans to beef up its Cyber Security Services business globally with an investment of more than US$50 million. A portion of this investment has been leveraged to build a new dedicated Security Operations Center (SOC) in Singapore, inaugurated today, doubling Symantec’s Cyber Security Services expertise in the Asia-Pacific region. Trend Micro announced the integration of Trend Micro Deep Security into the Microsoft Azure Security Center. Customers will now have access to a single view of all Azure subscriptions, live workload monitoring capabilities, and suggested remediation steps to address security issues. Trend Micro Deep Security has been recommended by Microsoft Corp. to help address vulnerabilities, enabling customers to deploy directly from the Microsoft Azure Marketplace. Toonz Animation, an animation houses with clients such as Walt Disney, Turner and BBC, has deployed EMC Isilon scale-out storage to meet the demand of a scalable storage solution and increase the speed of production, thereby enabling Toonz to complete multiple projects quickly and in an efficient manner. It has also reduced its energy requirements by 25% percent, decreasing the company’s overhead for power and cooling. Training and guidance from EMC Global Services has resulted in the need for a lean IT team of two-persons to manage the environment independently. Asia’s boom in mobile-first consumers is creating a growing target for online fraud and cybersecurity attacks. Criminals who used to focus on ATM skimming are turning their attention online in an effort to compromise credit and debit card data. These attacks can be far more lucrative, with more details stolen and a lower chance of getting caught. NEC Corporation announced that the SX-ACE vector supercomputers delivered to the University of Kiel, Alfred Wegener Institute and the High Performance Computing Center Stuttgart have begun operating and contributing to research. Yamaha Motor - one of the world’s biggest manufacturers of motorcycles, marine and other motorized products – has chosen Verizon to support two of its critical Information Technology programmes for 2016 and beyond. Verizon's Investigative Response (RISK) team is helping the company to better manage security risk, and Verizon Digital Media Services is helping the company improve online customer experience. Netwrix released the results of its global 2015 Cloud Security Survey that show when it comes to migrating to the cloud, 65% of companies are concerned with security and 40% worry about their loss of physical control over data in the cloud. In particular, 69% of companies are afraid that migration to the cloud will increase the risks of unauthorised access, while 43% worry about account hijacking. 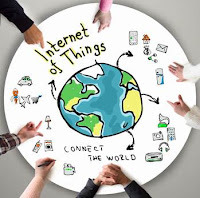 According to Business Insider, Internet of Everything (IoE) home devices will number 20 billion by 2019, and providing them with security will soon become a critical issue. Trend Micro Incorporated with ASUS last year to embed the Trend Micro Smart Home Network solution in wireless routers. By working together, these two companies have now established a new home security benchmark. The new ASUS Smart Home Gateway comes equipped with a Trend Micro security development kit (SDK) to establish safe connections between smart devices, an app, and cloud services. Qualcomm Incorporated announced the launch of the Qualcomm Design in India Challenge, building on the commitment made by Dr. Paul E. Jacobs, executive chairman of Qualcomm Incorporated, when he met with Prime Minister Narendra Modi at the Digital Economy event held in September, 2015 in San Jose, USA. Dr. Jacobs announced Qualcomm’s support for the Government of India’s Digital India and Make in India vision and committed to introduce a Design in India Initiative to encourage the creation of a local product design ecosystem. KDS announced a new chairman and new executive management team members. Alex Ott has been appointed chairman of the board of directors and brings to the position his extensive expertise in managing international business growth. He replaces Gilles Samoun who is focusing full time on a new technology company he has founded. FireEye released the results of its research into a recent campaign carried out by a Chinese cyber threat group—referred to as “admin@338” —targeting Hong Kong-based media organizations. In August, the group sent spear phishing emails about newsworthy developments with malicious attachments to Hong Kong-based media organizations, including newspapers, radio, and television outlets. One email referenced the creation of a Christian civil society organization to coincide with the anniversary of the 2014 protests in Hong Kong known as the Umbrella Movement. Another email referenced a Hong Kong University alumni organization that fears votes in a referendum to appoint a Vice-Chancellor will be co-opted by pro-Beijing interests. Ericsson announced that it has identified three key industry segments - Public safety, utilities & transport – to drive its sales in its business line ‘Industry and Society’, globally and in India. Ericsson is transforming industries and society across the globe by leveraging its technology and services leadership in mobility, broadband and cloud. “Ericsson is uniquely positioned to bring the right mix of technologies and delivery models to industries and societies. We create platforms with multi-industry relevance and scale that deliver transformational offerings to the Public safety, utilities & transport sectors in different parts of the globe” states Mr Orvar Hurtig, VP and Head, Industry and Society, Ericsson. The first phase of the pan-Mumbai CCTV camera surveillance network was launched by Chief Minister. Devendra Fadnavis on behalf of the State Government. The new survey from Fortinet reveals that insufficient wireless security is a concern for 71% of the Information Technology Decision Makers (ITDMs); hardly surprising given that 29% of the enterprise wireless networks put in place for internal employees, do not have the basic security function of authentication in place. Following the severe rainfall that flooded the city recently, UrbanClap- a marketplace for services- is taking the initiative to organize a pest control camp at three locations within the city, today. The activity is scheduled to start at 9 am today, at ThiruvanmiyurKuppam, and will be led by fifteen volunteers from the organization, and its partners. Help AG has reinforced its position as a top regional partner for Palo Alto Networks with the announcement that it has achieved the premier status of Certified Professional Services Partner (CPSP). By meeting the rigorous qualification requirements of the program, Help AG will be able to offer its customers end-to-end services on Palo Alto's next-generation firewall solutions with the highest standards and quality. Godrej Appliances is organizing Asylum Hack, a first-of-its-kind event aimed at providing young minds a platform to ideate and innovate. The event, to be held during 27th - 29thof November, is organized under the aegis of Godrej Appliances Innovation Cell set up 6 months back which looks at innovation and the future possibilities and adjacencies closely. It works towards creating solutions that can add value to the consumer's life through relevant technology, for a brighter living. India is on track to surpass half a billion mobile subscribers by the end of the year, according to a new GSMA study published today, signaling the start of a new era for the country’s mobile economy. The new report, ‘The Mobile Economy: India 2015’, finds that 13 per cent of the world’s mobile subscribers reside in India and that subscriber growth is forecast to outperform the regional and global averages over the coming years as the country cements its position as the world’s second-largest mobile market behind China. The study also highlights how the Indian mobile industry is rapidly migrating to new mobile broadband networks, services and devices, and becoming a key enabler of the government’s ‘Digital India’ initiative aimed at providing broadband connectivity to all. Fast growing London-based colocation provider LDeX, announced the appointment of Paul Dowles as Group Sales Director. Paul will join the LDeX Management Team with immediate effect and will be responsible for all group sales activities in the UK. Paytm announced its partnership with Lendingkart, a leading online platform for credit evaluation for small and medium enterprises (SMEs), offering collateral free business loans to SMEs. The initiative is a part of Paytm's commitment to provide easy access to finance for merchants and SMEs. Technology in todays’ world is advancing at a phenomenal speed, not a single year passes without a new technological breakthrough – the next big thing! If one observes acutely, there is yet another phenomenon which is speeding up – the newer, bigger and more complex vulnerabilities challenging the IT security environments in every possible way - big and small. One may or may not be a fan of the horror genre of entertainment, but it is important for them to be aware that the zombies, the undead data, have now attacked the technology world too. This is one of the biggest irreprehensible IT challenge in the coming days. Are you ready for Safe Cyber Monday? As you will be endlessly waiting for Cyber Monday to shop more and save your money, cyber-criminals will also be waiting anxiously for this day to take out fist full of money from your pocket. eScan warns its readers and users to stay safe on this occasion and take necessary actions to experience safe surfing and shopping. No matter where your movie and music interests take you, the latest Tower Speakers at Zebronics makes an enjoyable companion. 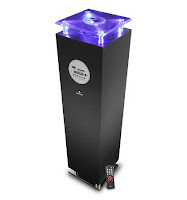 Zebronics claims another extension to its Monster sound range and this time it’s the unbeatable Tyson Tower Speakers. It's all thanks to the combination of ‘front loaded down firing transmission line technology’ and Spatial disperser that makes Tyson a longtime hit, undoubtedly the Best of Sound with audiophiles! On Friday 27th November in New Delhi, billionaire philanthropist Manoj Bhargava showcased a never-before-seen model of the electricity-generating stationary bicycle, Free Electric, featured in his new documentary film, Billions in Change. WizIQ added another feather to its cap after being ranked amongst top five cloud-based LMS apps in the world in the recently released GetRank Q3 report for 2015. The report, which compared nearly 600 LMS apps worldwide, scored each app on five criteria, worth 20 points each, for a total possible score of 100: User Reviews, Integrations, Mobile Apps, Media Presence, and Security. WizIQ scored high in three prominent categories – Integration, Mobile and Media. Peesh Venture Capital (PVC) a global venture capital firm focused on funding and nurturing passionate entrepreneurs and disruptive technologies today announced four (4) start-ups as the winners of the recent mCommerce Start-up & Venture Capital Bootcamp. Out of the four start-ups, the final winner will stand a chance to win seed funding from PVC of upto INR 3 crore.The event was organised in- partnership with Unitus Seed Fund, GSF Accelerators, 10,000 start-ups (NASSCOM) and LetsVenture, on November 21st, 2015, and was hosted at PVC’s Gurgaon Accelerator. Morpho and Telit announced that the specialized embedded SIM developed by Morpho has been successfully tested with Telit’s high performance 2G, 3G, and 4G cellular IoT modules for deployment in an Emergency Road Assistance project in Russia. India’s leading fashion portal Jabong is the official retail partner for Airtel Delhi Half Marathon (ADHM) to be held on 29TH Nov. The country’s most celebrated running event, the Airtel Delhi Half Marathon, boasts a huge participation and audience across all ages. Through this two-year association with ADHM and various other sporting events, Jabong is fast cementing itself as a brand that advocates the importance of sports in India. Avaya has released new research and calculator tool developed with industry analysts, Frost & Sullivan that helps companies determine how they are executing against a top priority for digital transformation efforts: Improving Customer Engagement. 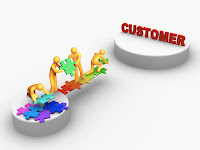 [i] The research into Customer Lifetime Value (CLV) identifies qualities that separate high-performing companies from others, and how customer engagement can be influenced through a blend of business orientation, resource management and technology. Keeping its commitment to offer solutions that help individuals make a permanent shift to a healthier lifestyle, GOQii, world’s leading Virtual Fitness Coaching platform, today announced that it has closed USD 13.4 million in Series ‘A’ funding to further accelerate the company’s already impressive growth and customer success. The Draft National IPR Policy ignores the concerns and issues raised by the Fast Track Task Force (FTTF), set up by the Department of Electronics and IT (DeitY), to catalyze and re-establish significant growth in mobile handsets and component manufacturing eco-system in India. The iPad Pro, launched 11 November, is Apple’s largest mobile device to date (with a 12.9” screen) and has considerably improved specifications. According to Analysys Mason’s analyst team in Singapore, this is a critical development for the future success of Apple’s own line of tablets, and it will also improve the viability of the tablet category more generally, as sales within this market space have struggled because of the long lifespan of these devices, as well as an absence of innovation and a subsequent move towards commoditisation by the influx of many low-end options. Snapdeal is facing flak for the statement issued by Amir Khan on the alleged intolerance in the country where he said that his wife - Kiran Rao - wants to leave the country. Snapdeal which had roped in Amir Khan as its Brand Ambassador faced buyer ire. Most of them began to return goods bought on Snapdeal. In this regard the ecommerce platform had to issue a statement.